MTN Rwanda has abolished mobile internet roaming rates in 17 MTN Group countries. The company’s CEO, Bart Hofker announced the development on his tweeter handle this afternoon. Under a hash tag, #dataroaming, Hofker said, this is for prepaid and postpaid MTNRwanda customers. “Just make sure to select “data roaming on” and the MTN network on your device upon arrival,” he said. 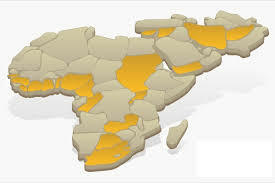 The participating MTN Group countries are: Afghanistan, Benin, Botswana, Cameroon, Congo Brazzaville, Ghana, Guinee Bissau, Guinee Conakry, Ivory Coast, Liberia, Nigeria, South Africa, South Sudan, Sudan, Swaziland, Uganda, Zambia. “We hope this will improve MTN Rwanda customer experience with data roaming when travelling in Africa and the Middle East,” he said, giving an example of a consumption experience that for Rwf 1,000 ($1.1), a subscriber can watch Rwanda television streaming via its mobile app for one hour while in Nigeria, Zambia or 15 other countries. The new development comes at a time while the market is experiencing efforts for competitors fight to maintain a lion’s share of the growing market. Airtel is spoiling its subscribers with a 30GB package for Rwf10,000 per month while MTN subscribers still have to foot the same package for more than Rwf18,000 per month, almost double the price. The two telecom giants, and over a dozen other Internet Service Providers like ISPA offer a reasonable level of quality and faster speed connectivity of above 5Mbps per second for both upload and download, and at the lowest rates on the continent.